Oliver Naesen will continue his 2019 season at Paris-Roubaix. The Belgian rider will be leading AG2R La Mondiale at one of the most expected races of the season and will have a strong team next to him. Naesen has shown to have a great shape this classic season by finishing in the top ten in four races, including two monuments. He will have next to him the strength of Stijn Vandenbergh and the talents of Silvan Dillier, who finished second in Paris-Roubaix in 2018. 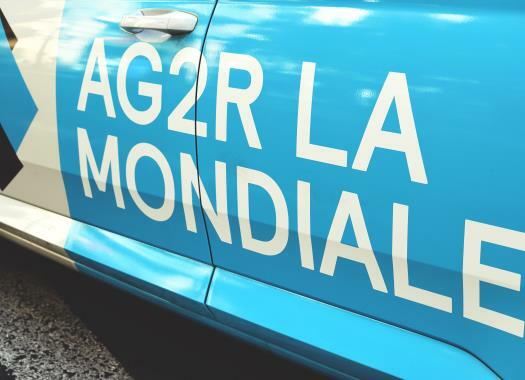 "We are coming to Paris-Roubaix with big ambitions," said Vincent Lavenu, AG2R La Mondiale's team manager. "Whether in Milan San Remo or Gent Wevelgem, Oliver Naesen has consistently proved that he is one of the best racers at the classics. At the Tour of Flanders, his big goal, he took 7th place in spite of the fact he was suffering bronchial issues. That bodes well for this coming weekend. "Our hope is to reach the podium, and even a victory. We are looking for the big exploit. Since early March and the Omloop Het Nieuwsblad, the guys have raced together, they know each other well, and everyone, from the staff to the racers, are all very motivated. At the Tour of Flanders, we also saw how strong of a lieutenant Stijn Vandenbergh can be. He was pushing at the front in the last hour of the race. Of course, by mentioning Paris-Roubaix, I do not forget Silvan Dillier. "He has not been overly successful at the classics so far this year, but he is able to transcend the situation, as he did last year by getting in the breakaway before taking second place in the Roubaix velodrome."